Following up on the activities that the ESIA Capstone 2018 team which the Brazil Initiative has been supporting is developing in Brazil, find below some uptades about the group's work at Access Sao Paulo. The group is focused on Community Mapping and Vulnerabilities Pre-Assessment to help assess needs and plan future programming for the organization and the children that Access serves to. The Capstone team is integrated by candidates Aida, Connor, Blake, and Shannon. 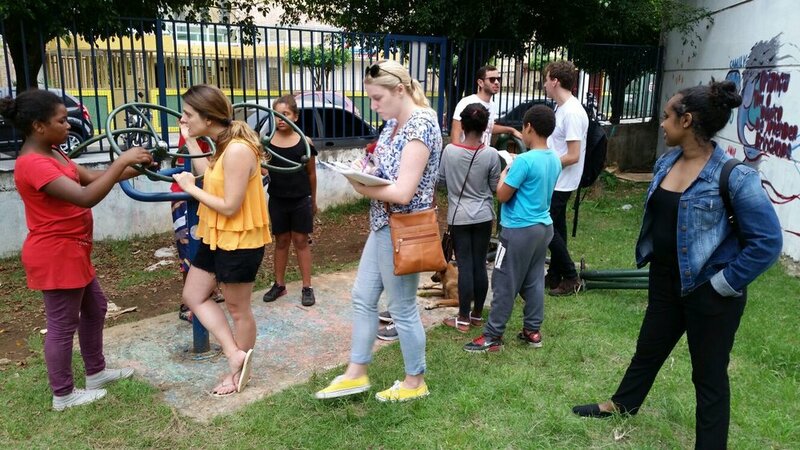 They have had several days of activities with the children of "Capao Redondo", a district in the city of Sao Paulo. Access and the Capstone team visited three different pockets of "Capao Redondo" neighborhood - Jerusalem, Valqueria and Portalina. The team had 3 separate focus group discussions with the children in each pocket where it could learn about the children's background and about their lives. 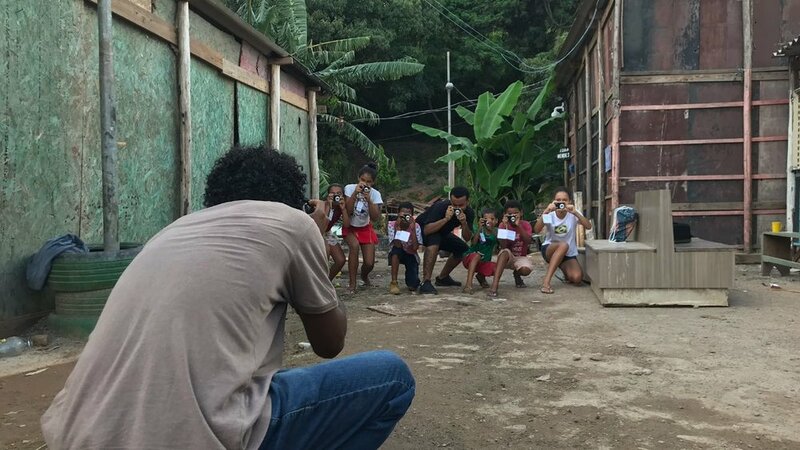 The team could gain a lot of insights on the context of "Capao Redondo" and discuss some aspects of children lives such as home, school, and how they feel about their community in a positive or negative light. Also, for the community mapping exercise, the group distributed digital cameras to the children who attended the focus groups. Keep up the great work, ESIA Capstone 2018 team! Access here the one-pager description of the group's project.